In 2010, Coach Lucky conducted a GRS Skillz activity for the U.S. Men's National Team during their visit as part of the FIFA World Cup. 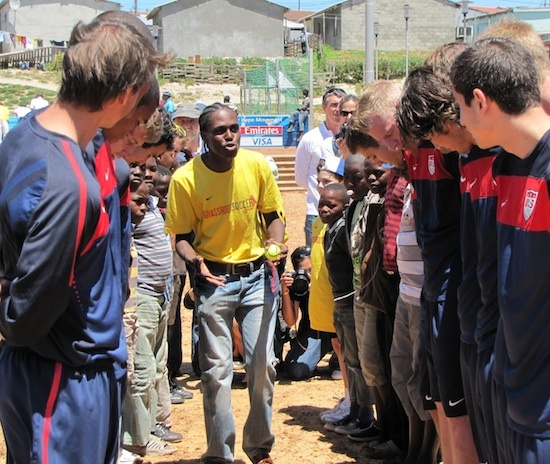 Lucky joined the Grassroot Soccer team as a Coach in Khayelitsha, South Africa in 2009. He had recently received a national certification in General Travel and Tourism at the College of Cape Town and was looking for part-time work. Lucky was drawn to GRS’s work of educating youth about HIV because in his hometown of Sterkspruit there was no information available about HIV prevention. He witnessed the debilitating impact of stigma around AIDS as many of his family and friends faced discrimination once they started showing physical symptoms of the disease. Given the lack of information, any mention of HIV was shrouded in mystery and fear. Lucky knew that the only way he would be able to make a difference was to learn as much as he could about the virus, and he joined GRS. Lucky thrived as a GRS Coach and loved being on a team sharing life-saving knowledge. Although he was challenged at times by the grave situations he had to face, he felt as though he had support from his peers. Through the Grassroot Soccer Coach Development program, Lucky received job training skills to help him advance in his career. In early 2011 Lucky was offered a position at a hotel in Stanford, South Africa. While he enjoyed the opportunity to utilize the hospitality skills he had learned in school, he felt disconnected with the community while at the resort. 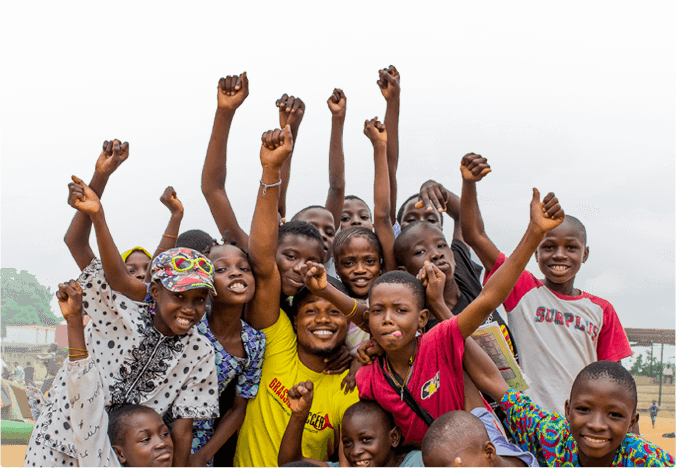 He missed engaging with kids and sharing knowledge that is critical for every child to know. To remedy this, Lucky contacted a nearby school for underprivileged children to ask if he could deliver the GRS curriculum in their classes. Lucky was soon riding his bike over an hour each way to volunteer at the school to deliver the GRS program. His passion and dedication to the GRS mission continue to make him an outstanding role model.